Although many people do not want to discuss disability or death, setting up an estate plan is one of the most important steps you can take to protect yourself and your loved ones. Proper estate planning not only puts you in charge of your finances and assets, it can also prevent your loved ones from having to bear the expense, delay, and frustration that is often associated with managing your estate once you become disabled or pass away. You want to leave your affairs in order upon your disability or death. 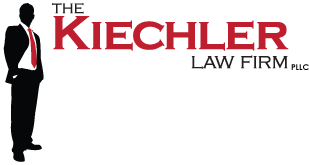 The Kiechler Law Firm will discuss with you the different options available for estate planning and help you set up a plan that best sets forth your wishes upon your disability or death. For further information regarding the different areas of estate planning that The Kiechler Law Firm handles, click on the links to the right.